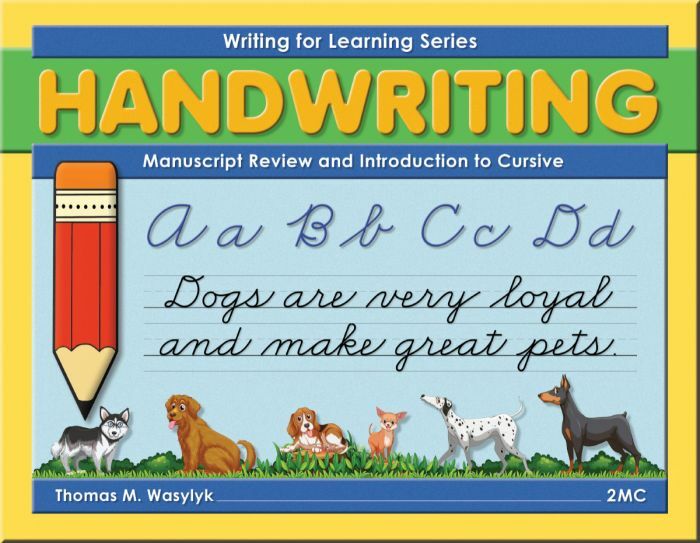 The Writing for Learning handwriting program is a simple, effective handwriting program. 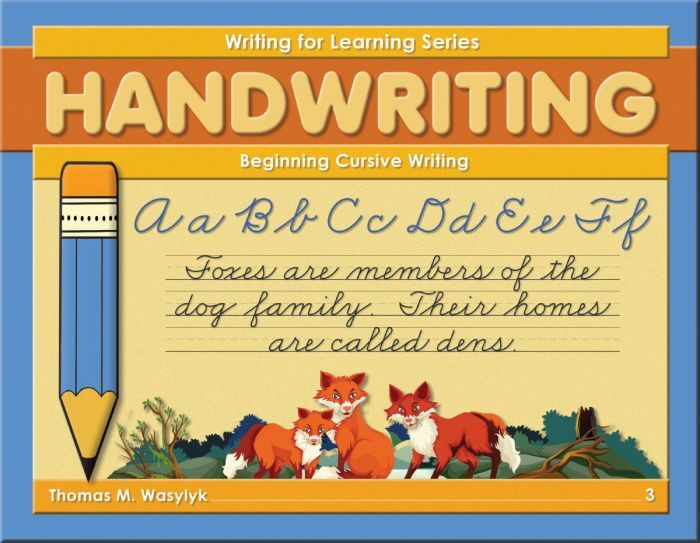 It provides a complete back-to-basics, traditional course in handwriting. 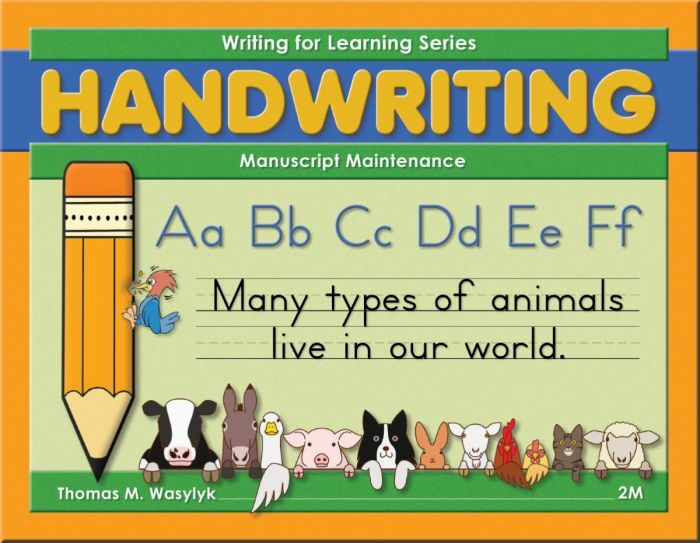 Its goal is to help your students learn to write so they can write to learn. 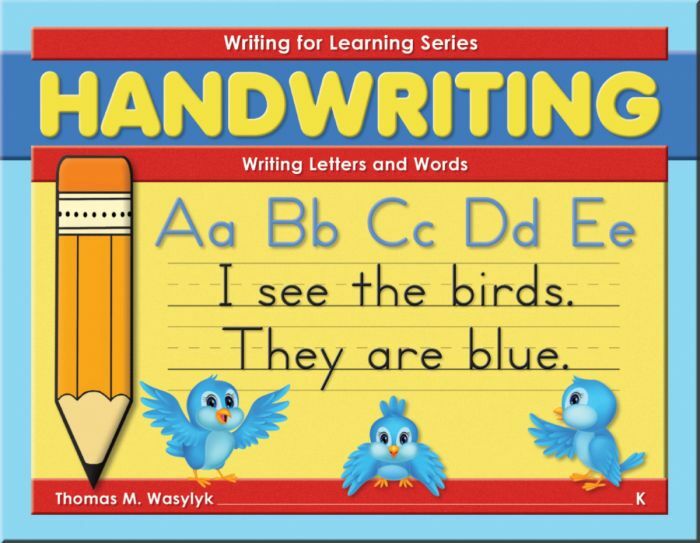 Research shows that handwriting plays an important role in literacy development. 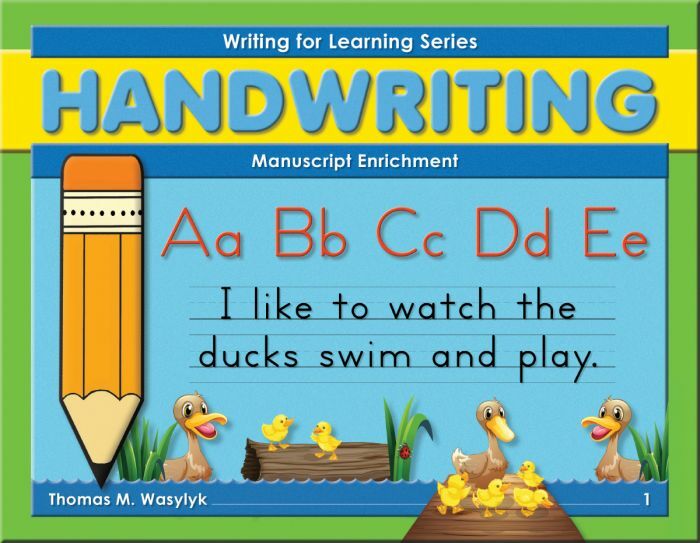 Teaching handwriting with Writing for Learning prevents your student from developing bad habits. It builds the good habits of using proper strokes and hand positions that make writing effortless even for the most reluctant writer. The Writing for Learning style is beautiful and traditional. 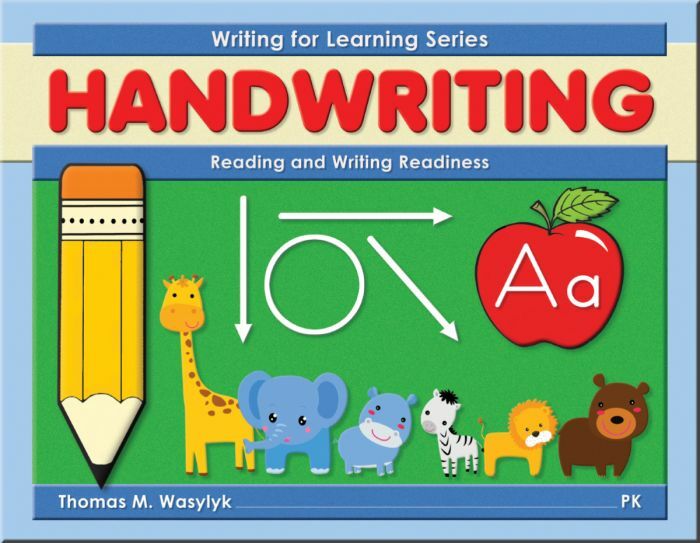 If you would like your students to have truly beautiful handwriting, this is the series for you. 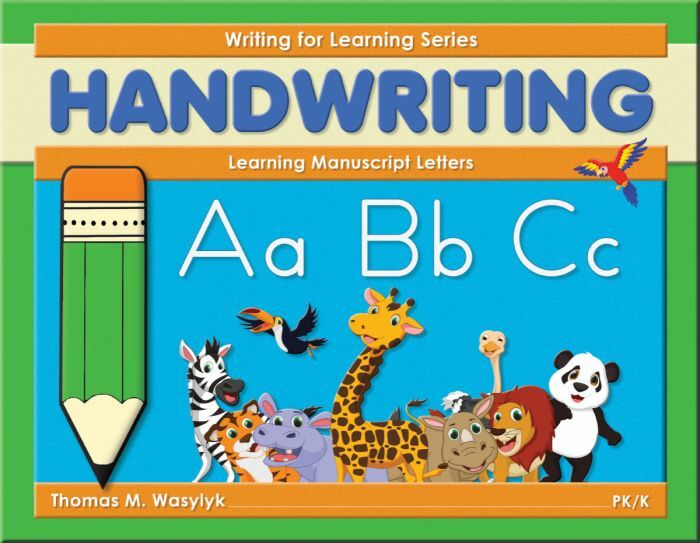 Writing for Learning: Learning Manuscript Letters for Pre-K or Kindergarten follows a unique method of introducing manuscript handwriting. This transitional workbook helps students thoroughly understand the construction of each letter before and during practice. Students review and practice manuscript basic strokes, an essential step in early handwriting success. Each letter is broken down stroke by stroke, so students know exactly how the basic strokes relate to the whole letter. Matching activities on every letter page reinforce letter recognition and help to prevent reversals. 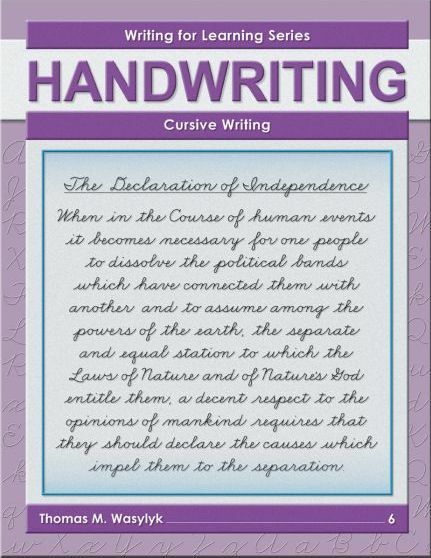 Writing for Learning: Cursive Writing for seventh grade and above provides detailed cursive writing instruction. 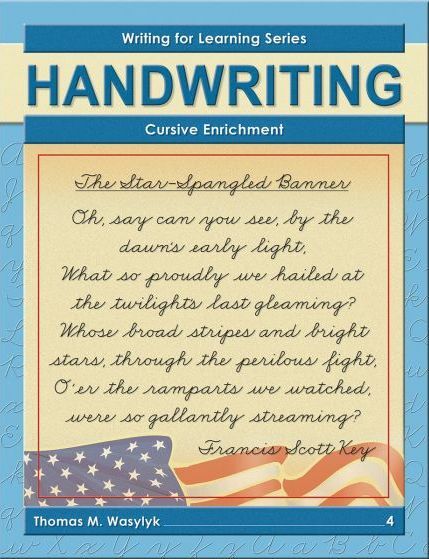 It’s ideal for students with previous cursive instruction as well as those new to cursive. 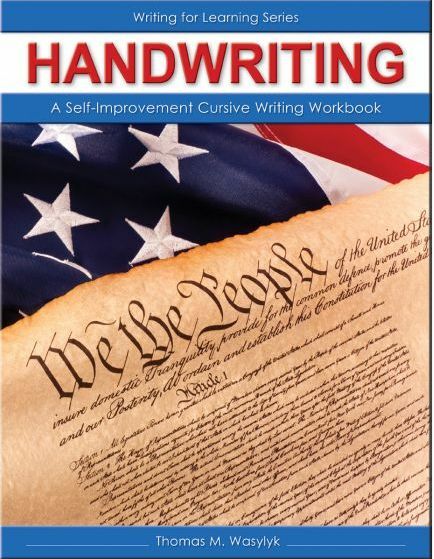 This workbook includes a thorough basic strokes review, elements of legibility, and individual letter practice with stroke descriptions. Detailed stroke descriptions help students understand proper letter formation. 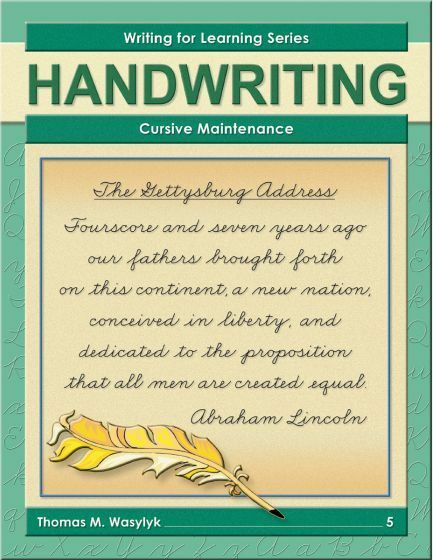 Special pages on joining cursive letters remind students how to properly connect letters.